In his new autobiography, Armenia’s second president portrays himself as a wise statesman, criticizes Nikol Pashinyan, and describes his respect for Heydar Aliyev. "Life and Freedom" was just published in Russia. Former president Robert Kocharyan, widely despised in Armenia and currently being held in a Yerevan jail, has released a memoir in which he takes shots at his current nemesis, Prime Minister Nikol Pashinyan, and praises his one-time Azerbaijani counterpart Heydar Aliyev. Kocharyan left office in 2008 and largely dropped out of public view. But since the coming to power last year of Nikol Pashinyan, Kocharyan has reemerged as the bête noire of the new government. He was arrested on charges related to the violent breakup of protests in 2008 over the election of his successor, Serzh Sargsyan; as such he is the first post-Soviet leader ever to face trial. Now, with the new autobiography, Kocharyan has yet again managed to insert himself into Armenia’s public conversation. The book, “Life and Freedom: Autobiography of the Ex-President of Armenia and Karabakh,” was written in Russian and published in Moscow. Kocharyan has said he began the book before last year’s “Velvet Revolution,” but that he finished it while in jail. As with most politicians’ memoirs, it offers a heavily subjective view of his life in politics, from the late 1980s – when he first gained prominence as one of the leaders of the Karabakh Armenians’ independence movement – until 2008. 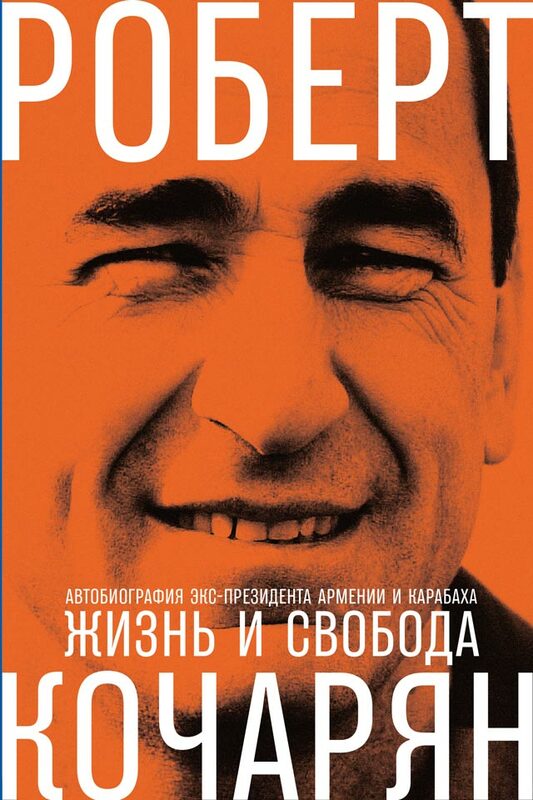 Self-aggrandizing even by the standards of the genre, the book portrays Kocharyan as an apolitical leader, a talented manager who never sought power but was always invited and cajoled, able to manage any crisis and to discipline and rebuild a government and a nation. He confesses to a lack of understanding of economics and finance, but claims that his outstanding memory, learning ability and dedication have been enough to compensate. He writes about his interest in psychology, and the book is replete with pop-psychology clichés. Encounters with opponents are portrayed as a clash of characters in which Kocharyan’s strong personality inevitably defeats his opponent’s indecisiveness. Cooperation with his allies, on the other hand, is never anything but a smooth and amicable process. The book omits, meanwhile, the story of Poghos Poghosian, the man beaten to death in 2001 by Kocharyan’s bodyguards in a downtown Yerevan restaurant. The story has shaped the former president’s public image in Armenia as not only a strongman but a “murderer,” an accusation repeated by his many opponents, including Pashinyan. (One of the bodyguards involved in the killing eventually went on trial and was sentenced to two years of probation, spending no time in jail). 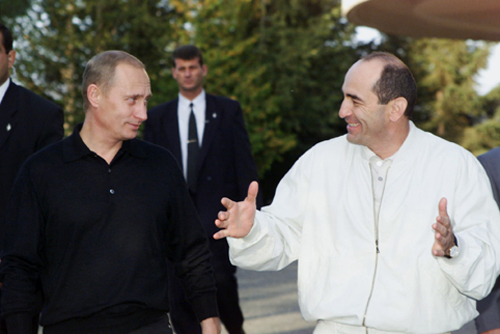 More illuminating are Kocharyan’s descriptions of his encounters with world leaders. He is cautious about saying much about those still in office, like Russia’s Vladimir Putin or Azerbaijan’s Ilham Aliyev. He opens up more, though, about those retired or dead. Russia’s Boris Yeltsin is described as a commanding and authoritative figure, but a bull in a china shop. Bill Clinton is an exemplary, deeply informed statesman. George W. Bush is primitive, distracted and disengaged; Jacques Chirac is ever-interested, a pleasure to work with, understanding every nuance. Perhaps the single most compelling part of the book is Kocharyan’s account of his many conversations with Azerbaijan’s former leader, Heydar Aliyev. Aliyev, Kocharyan claims, not only was ready to recognize Karabakh as a part of Armenia, but spoke frankly with him about many other topics, sharing his frustrations with his domestic opposition and even touting the idea of passing power onto his son. Kocharyan’s account of the failed 2001 Key West peace talks portrays his Azerbaijani counterpart as backing out of the initial agreement under pressure from his family, an account Kocharyan claims has been privately confirmed to him by Ilham Aliyev. But overall, the elder Aliyev’s image in this book is positive, one of an experienced and wise statesman and at the same time a witty and engaging interlocutor. Kocharyan also allows for a few other admissions that would normally constitute sins in Armenia’s mainstream nationalist discourse. He confesses to never believing in God and is open about his poor command of the literary Armenian language, a recurring topic in the chapter describing his move to Armenia as prime minister in the late 1990s. “I had difficulties with writing and reading in Armenian,” writes Kocharyan, who, like many Karabakh Armenians of his generation, considers the local Karabakh dialect his mother tongue and Russian his primary formal language. “All the paperwork in Armenia was naturally done in Armenian, and that seemed like a catastrophic challenge to me,” Kocharyan admits. The book has been widely panned in Armenia. Levon Barseghyan, a prominent Pashinyan ally who chairs the board of the Shirak State University in Gyumri, suggested that those who even bothered to read the book ought to seek medical attention. That was a common theme in social media reactions; one user rhetorically asked readers of the book, “Do you guys have nothing else to do? Have you read all of Jamie Oliver?” referring to the prolific British TV chef. Among those mentioned in the book, Aram Sargsyan, who served as prime minister under Kocharyan between 1999 and 2000, has been the most high-profile figure to respond. In a Facebook post, Sargsyan challenged Kocharyan’s account of the 1999 shooting in parliament, in which eight people were killed including speaker of parliament Karen Demirchyan and then-prime minister Vazgen Sargsyan, Aram Sargsyan’s brother. In the book, Kocharyan denied the rumors that persist to this day that he was somehow behind the attack, describing the death of Vazgen, a close friend, as a personal loss. Whatever its weaknesses, “Life and Freedom” is nevertheless a valuable piece of nonfiction. Kocharyan’s obsession with imaging himself an alpha male crisis manager, projected on almost every page of the book, is important for understanding of Armenian political reality, as it reflects many Armenians’ view that a national leader should be a workaholic strongman. And if Kocharyan himself has long fallen out of favor with the people, this style of leadership nevertheless remains popular, as evidenced by many Armenians’ admiration for Putin. Even Pashinyan, with his performatively energetic style and frequently violent denunciations of his opponents, at times echoes this image, regardless of his personal differences with his predecessor.